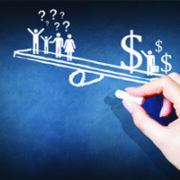 Inequality persists and so does the global concern over it. Kuznets’ views about the inverted-U relationship between inequality and development and the subsequent transformation process have been under the lenses of researchers for a long time. Kuznets’ theory proposed the inverted-U relationship through (i) a declining share of agriculture in total output and (ii) migration from the low-income agricultural sector to the high-income industrial sector (Kuznets 1955).